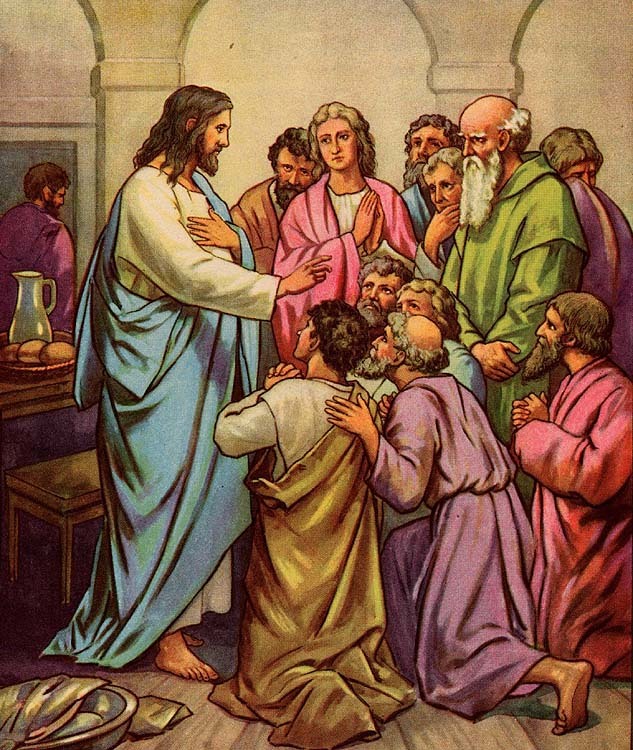 Jesus needed some special disciples to help him. They were called apostles. The first called were Simon Peter and Andrew his brother, who were fishermen. He also called two more brothers who were fishermen. They were James and John, the sons of a man named Zebedee. and Matthew (Levi), who was a tax collector. There were also five more chosen. We learn a song to the tune of "Jesus Loves Me" to help us remember them. 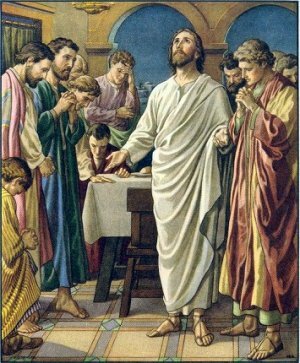 The twelfth apostle Judas made. After Jesus died, rose again, and went back to the Father, Matthias was chosen to replace Judas Iscariot, who had betrayed Jesus. Later Paul was chosen to be an apostle. He wrote most of the letters in the New Testament. 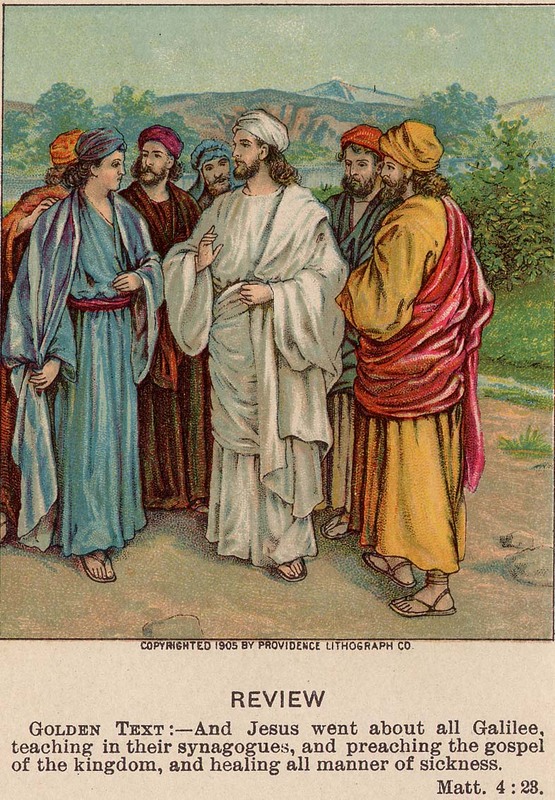 Jesus had some very close friends; two sisters and their brother. 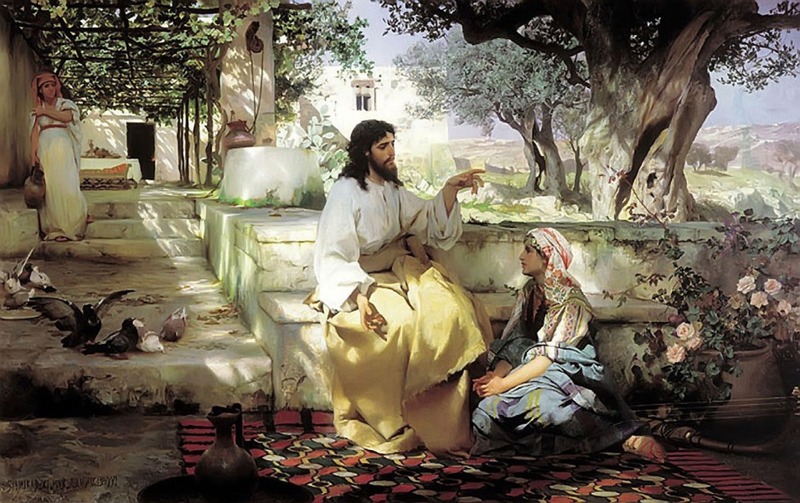 Once when he was in their home, Mary sat at Jesus' feet listening to his teachings. Jesus said, "Martha, Martha, you are worried and upset about many things, but only one thing is needed. Mary has chosen what is better, and it will not be taken away from her." 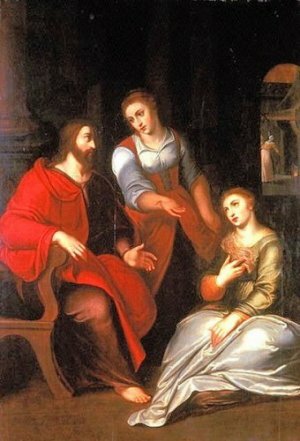 In this story we see the contrast between the two sisters, Mary and Martha. It was not a bad thing for Martha to prepare a meal for the family. It was a necessary task, but she was becoming upset and harboring ill feelings toward her sister, Mary, because she was not helping. Jesus said Mary had chosen "the better part". She was sitting at the feet of Jesus showing her closeness to Him and her submission to Him. What about you? Are there times when you need to turn off the TV and study for your Sunday School lesson? Do you look forward to going to church and being with other Christians? Do you remember to say your prayers at night? Choose the better part. 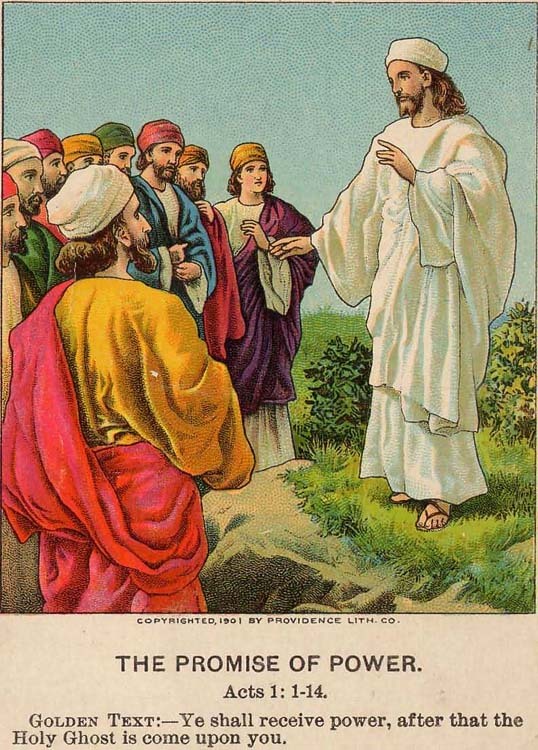 English Bible Activities Select stories #178 and 209 in the list for activities to accompany this Bible story. Spanish Bible Activities Select stories #179 and 209 in the list for activities to accompany this Bible story. Press "Go" to search for books about Friends of Jesus. This page displayed 163,652 times.